Aliya Mustafina is the Queen of uneven bars. She is the 2x Olympic champion on this event. I am really happy she won! Madison Kocian in 2nd and I think this was her best routine. And Sophie Scheder! Wow I forgot that she was in this finals. I have always knew about her and even blogged about how much I liked her routines. I wasn't expecting her to medal at the Olympics. This is a great win for her. Man this finals was exciting to watch. Two new crazy vaults were performed. Igor Radivilov was 2nd to perform and he attempted a 3/1 front tuck! This guy is crazy gutsy. He was awarded the full 7.0 difficulty but I read he will not get it named after him since he fell. Then there was Kenzo Shirai. After his disappointing floor finals he came back with a crazy 7/2 (3.5) Yurchenko! I am happy Kenzo was able to medal individually. He also had the highest execution in this finals. Ri Se Gwang is another fearless competitor. 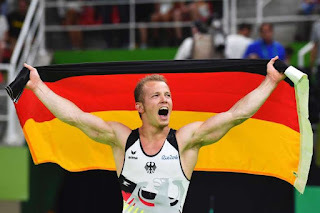 He is truly the champion because he did two vaults that is named after himself. His vaults may not look pretty but they are crazy difficult. I'm happy he won. Then there's Abliazin who maybe could have won if he stuck his Ri vault. I think he could of but who knows. In this case it's still nice to see him medal for team Russia. As always this was a nerve wrecking event to watch. Simone could have won this event but she grasped the beam and almost fell from front tuck. I was so nervous. In the end she was able to win 3rd. Laurie had a chance to win after Wevers but her execution and difficulty was not quite enough and she had to settle for 2nd. Then there is Sanne Wevers! I absolutely love her beam routine. Very unique and beautiful with all the difficult turns. The judges took quite a long time for her score and when it came out I clapped in happiness. I think it was the suspense that made it all exciting. Sometimes Wevers is inconsistent but this was her year. So happy for her. In a lot of ways this was probably my favourite win of this Olympic gymnastics. Again I was disappointed with the Chinese guys Deng Shudi and You Hao. Deng was shaky and lost lots in execution. You Hao was doing really well up until his difficult double front 1/2 out. So close he was but it was not meant to be. It's also clear to see which style the judges like. Danell performed very well and stuck his landing. I'm happy he won after from being an alternate. 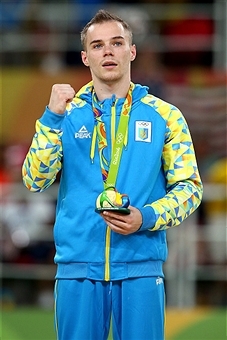 Belyavskiy won 3rd. His routine is nice and its awesome how he got 3rd in such a difficult finals. Never giving up and fighting is the name of this sport. Then there's Verniaiev. He had an error issue with handstand but his routine has good difficulty and execution through out to make him win. It also didn't hurt that he was a major favourite to win this event. I'm happy he can leave with a gold medal from these games. This was another good finals. I really enjoyed watching Wang Yan on floor. I think she was low balled on this event. She deserved a better score. Through out this competition I have been impressed with Wang. She hit all her routines through out the games. Very impressive. Amy Tinkler was a nice surprised. How nice that Great Britain won an individual medal on the WAG side. If it wasn't Claudia Fragapane to qualify and medal it was a nice surprise to see Tinkler do it. Aly Raisman was simply amazing. I really like her on this event. This is her forte. This is her event. Her third pass sticking a DLO gah. She was not able to defend her 2012 title because Simone Biles was also amazing. Biles difficulty is out of this world! Such difficult tumbling and very energetic routine. Simone Biles won her 4th gold on this event in Rio. Wow. This is always an event to look forward to. I'm disappointed that Kohei fell in qualification but there were great guys in this final. Sadly Zonderland was not able to defend his title. His friendly rival friend Fabian Hambuchen was first up and killed his routine. It was a thrilling and exciting routine. This was his last time to compete as he is retiring. 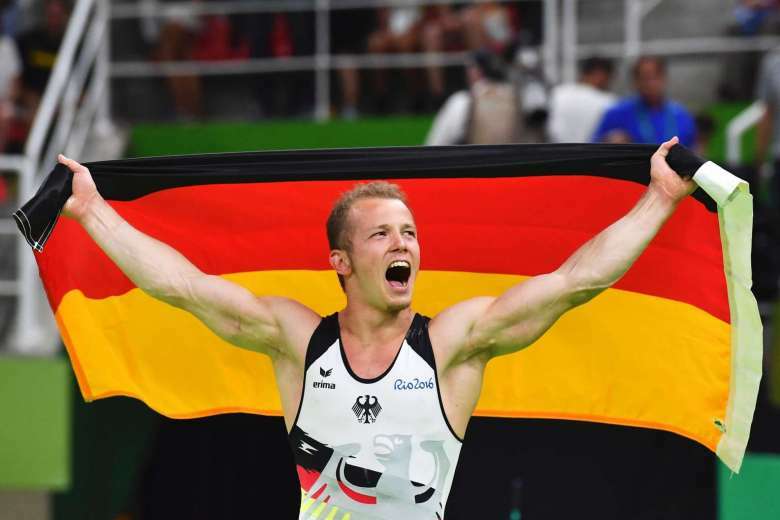 What an amazing way to end his competitive gymnastics career with an Olympic gold medal! He now has all the collected medals of bronze from 2008, silver from 2012 and now Gold. That's cool. Danell Leyva was also amazing to see on bars. It's nice to see him medal again. Some people are calling him the silver prince. Nile Wilson fought and did a great job to place 3rd. Never give up because you never know what can happen. It's great that Great Britain has been winning several individual medals. That is a success for their program. I liked your blog! It is really helpful and useful. Your post covered interesting facts on gymnastics. Thanks for sharing this with us.